Investa Commercial Property Fund (ICPF) has closed Australia’s first green loan for $170 million from the ANZ bank and achieved Australia’s first verification of a Green Loan. The loan has been certified by the London-based, globally recognised Climate Bonds Initiative (CBI), a not-for-profit organisation which promotes large-scale investment into the low-carbon economy. ICPF remains in the top 2% in the Global Real Estate Sustainability benchmark. To align with its Green Debt Framework and maximise impacts, ICPF tagged its entire portfolio against the CBI Low Carbon Building Criteria carbon emission thresholds, which require the portfolio to perform in the top 15% in their relative city in terms of carbon intensity. Jason Leong, Fund Manager ICPF said: “We are very proud to be the first Australian fund to secure a Green Loan. We’ve worked hard to ensure the whole portfolio meets the rigorous standards of the Climate Bonds Initiative, which optimises the application of the funds. ICPF’s Green Debt Framework articulates the management and use of proceeds in line with the Green Bond Principles (GBP) and Green Loan Principles (GLP) – a set of voluntary guidelines used globally that align with CBI Certification requirements. A key GBP and GLP principle for the Green Loan is the ‘Use of Proceeds,’ which ICPF will meet by deploying funds from the facility only to low carbon building projects that meet the commercial Low Carbon Building Criteria set out in the CBI Standards. d across all assets. Mr Leong said: “Diversifying our sources of debt with a Green Loan demonstrates our support for the growth of the sustainable finance market, re-enforces our leadership position in corporate sustainability and reflects our long-term commitment to transitioning to a low carbon economy. We are certainly open to entering into more green loans or green financial instruments in the future,” said Mr Leong. Nina James, General Manager, Corporate Sustainability, Investa said: “In 2016, Investa set an ambitious carbon reduction target of Net Zero emissions by 2040, leading the industry and ensuring Investa managed assets are continually on an aggressive pathway to net zero emissions. The unlisted Investa fund – its listed sister fund, Investa Office Fund, was taken over by Canada’s Oxford Properties last year – was also the country’s first green bond issuer two years ago. ANZ worked closely with Investa to develop a Green Debt Framework – which was assured by EY – to make the loan possible. Andrew Lawson, Director, Sustainable Finance, ANZ said: “ICPF has achieved another milestone in our domestic sustainable finance markets by closing Australia’s first corporate green loan, following their success as the first corporate green bond issuer in Australia in 2017. 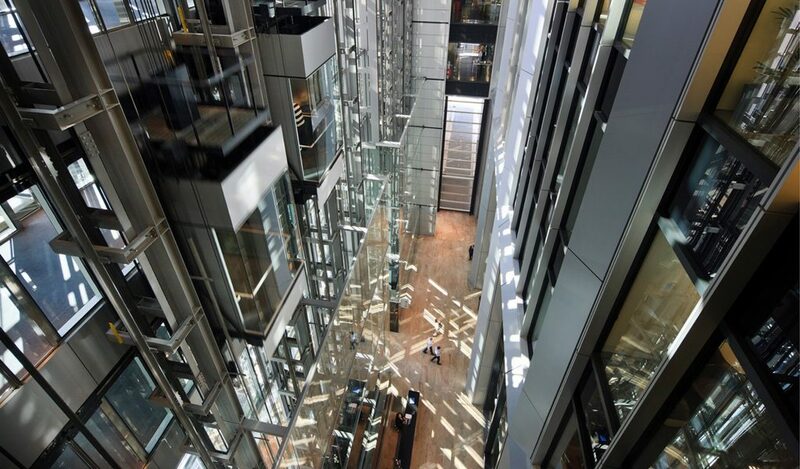 ICPF’s portfolio of 15 office assets is valued at more than $5.1 billion and includes interests in some of Australia’s leading office buildings, including 420 George Street, Sydney, Deutsche Bank Place at 126 Phillip Street, Sydney and 567 Collins Street, Melbourne. Investa is not alone if setting green targets — according to The Australian Financial Review, the $47 billion building industry super fund, Cbus, has set its sights on zero net carbon emissions from its property holdings by 2030. The AFR also reported that listed fund manager GPT is targeting zero net carbon emissions from its $7.5 billion wholesale office tower fund by 2020. In a warning about the potential for ‘green washing’ in low-carbon investment last year, the CBI’s chief executive Sean Kidney told The Australian Financial Review that the green definitions for climate bonds and the certification scheme underpinning them could provide the necessary rigour for investors.